Shop for MP3s. Get Amon Amarth essential facts below. 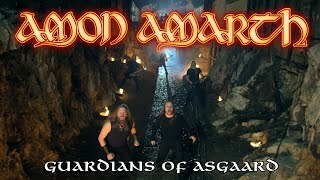 View Videos or join the Amon Amarth discussion. 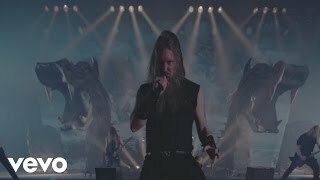 Add Amon Amarth to your PopFlock.com topic list for future reference or share this resource on social media. 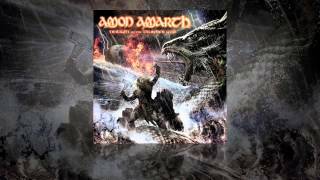 Amon Amarth[pronunciation?] is a Swedish melodic death metal band from Tumba, formed in 1992. The band takes its name from the Sindarin name of Mount Doom, a volcano in J. R. R. Tolkien?s Middle-earth. Their lyrics mostly deal with Viking mythology and history, and so they have been linked with Viking metal, although the band themselves prefer the term Melodic Death Metal. The band is composed of vocalist Johan Hegg, guitarists Olavi Mikkonen and Johan Sderberg, bassist Ted Lundstrm and drummer Jocke Wallgren. Amon Amarth has released ten studio albums, one compilation album, one EP, one video album, and ten music videos. Its first studio album, Once Sent from the Golden Hall, debuted in 1998. Five more studio releases followed, before the band saw its breakthrough with the 2008 album Twilight of the Thunder God, which debuted at No. 10 on the Swedish album charts and No. 50 on the US Billboard 200. Three more albums, Surtur Rising, Deceiver of the Gods, and Jomsviking followed in 2011, 2013, and 2016, respectively. The band emerged from the previous death metal band Scum, founded in 1988 by Paul "Themgoroth" Mkitalo (Dark Funeral) on vocals, Olavi Mikkonen on lead guitar, Petri Tarvainen on bass and Vesa Merilinen rhythm guitar. After a 1991 demo, Scum broke up and Amon Amarth formed in 1992. Hegg replaced Mkitalo on vocals, Anders Hansson joined on guitar, and Ted Lundstrm replaced Tarvainen on bass. recorded its first demo Thor Arise (1993). Raw and uneven in sound and execution, it was never officially released due to low quality standards, but the band caught the attention of extreme metal fans with its own "infectious brand of epic-sounding brutality and unadorned conviction". In 1994 another demo entitled The Arrival of the Fimbul Winter was recorded; this time 1,000 copies were indeed issued. In 1996, they signed with Pulverised Records, on which they released their first MCD, Sorrow Throughout the Nine Worlds, which sold 6000 copies. They then signed with Metal Blade Records which released the debut album Once Sent from the Golden Hall. 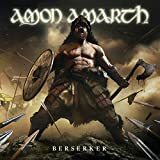 Described as "a compelling fusion of buzzsaw riff work, melodic harmonies and soul-crushing rhythms punctuated by Hegg's callous black/death roar and accounts of Norse battles and treachery" it made sure Amon Amarth's popularity rose internationally. According to Allmusic, the song that bore the group's namesake was the most memorable, containing "the chaotic noises of battle, the screams of the dying, and much sword-clashing to boot." Since then they have performed at multiple Canada and US tours, festival appearances, eight music videos, and appearances in over 100 metal magazines. In June 1998, as the band was about to commence a tour alongside Deicide, Six Feet Under and Brutal Truth, guitarist Anders Hansson left and was replaced by Johan Soderberg. After the tour Martin Lopez quit to join Opeth and Fredrik Andersson (ex-A Canorous Quintet) came in. With him in Spring 1999 the band recorded and released its second full-length, The Avenger. The release was supported by the X-Mas Massacre Festivals Tour with Morbid Angel headlining. 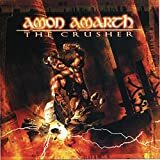 The Crusher, released in 2001, was considered[according to whom?] to be its most aggressive album. In support of it the band went on tour with Marduk and Vader, taking part in No Mercy Festival. its first American tour in autumn 2001 though had to be cancelled (due to the September 11 attacks) and was held later, in January 2002, without Marduk, Amon Amarth headlining. In April 2002 the band toured Europe with Vomitory and in August performed at Wacken Open Air before 12.000 metal fans. In Berno Studio in Malmo Versus The World was recorded and came out, The Viking Edition comprising a bonus CD which included demos Thor Arise and Arrival Of The Fimbul Winter. 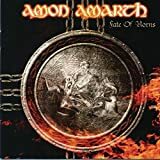 Touring continued up until Spring 2004 when the band started working on Fate of Norns album which was released on 6 September 2004. 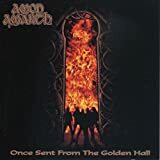 The follow-up, With Oden on Our Side (2006), has shown (according to AllMusic) that "Amon Amarth continue to be champions of the worldwide death metal tournament" and rose to number 26 in the US Top Independent album charts. 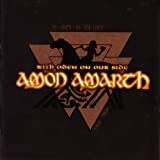 The album's material though was not included in the DVD Wrath Of The Norsemen (the song of the same title would be found in the 2011 album) which was released in May 2006, having turned gold in US (platinum - in Canada) ever since. In early January 2008, its first tour of Australia and New Zealand took place, supporting Dimmu Borgir, after finishing a US and Canadian tour with Sonic Syndicate and Himsa. Amon Amarth extended its record deal with Metal Blade Records for three more albums. After extending its record deal, the band released Twilight of the Thunder God, which featured guest appearances by Lars Gran Petrov of Entombed, Roope Latvala of Children of Bodom, and the cello metal band Apocalyptica. Accompanying the release of the album was an eight-page comic strip based on Norse mythology which was released by magazines in Europe. 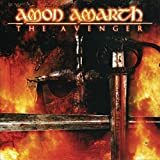 Twilight of the Thunder God which is considered its breakthrough album, reached number 50 in the US, number 6 in Germany, number 10 in Finland, number 11 in Sweden, number 14 in Austria, number 21 in Switzerland. It ended up at the number 7 position in Revolver Magazine's Top 20 Albums that year. Amon Amarth embarked on a North American headlining tour in October 2008, with support from Ensiferum, Belphegor, and The Absence. In 2009 the band returned to the States for another successful series of dates with Goatwhore, Skeletonwitch and Lazarus AD and later in 2010 with Holy Grail and Eluveitie. In between, Amon Amarth were named "Best Breakthrough Act" at Metal Hammers prestigious Golden Gods Awards. The band also supported Slayer in its Unholy Alliance Chapter III European tour. 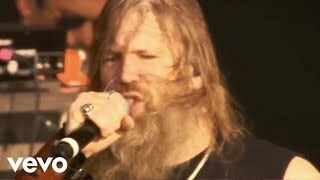 Amon Amarth played its first show in India, headlining the Deccan Rock Festival in Bangalore on 5 December 2009. 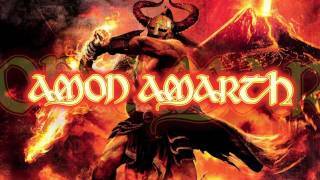 On 30 November 2010, Amon Amarth confirmed its next album entitled Surtur Rising would be released in Spring 2011. The drums were recorded at Park Studios, while bass and guitars were recorded at Fascination Street Studios. 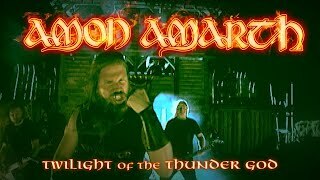 On 27 January 2011 Metal Blade Records released the new album's first single, titled "War of the Gods", on YouTube. 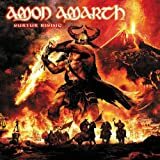 On 29 March 2011, Surtur Rising was released in North America. To support the album, the band embarked on a 4-month world tour with Children Of Bodom and Ensiferum, among others. Amon Amarth performed at Wacken Open Air in 2012, Hellfest 2013, Download Festival 2013, Sweden Rock Festival and Mayhem Festival 2013. 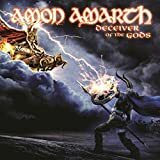 On 25 June 2013 Amon Amarth released its ninth studio album, Deceiver of the Gods. 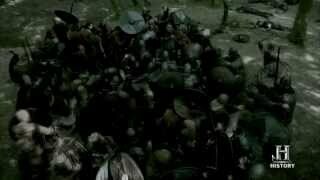 The album cover, according to the band, depicted Ragnark the last battle between the sir gods and Loki, accompanied by the army of the dead. On 19 March 2015 Amon Amarth posted on its Facebook page that it had parted ways with drummer Fredrik Andersson after 17 years of collaboration. 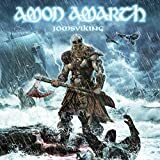 The band released its 10th album Jomsviking on 25 March 2016. A session drummer, Tobias Gustafsson, was recruited for completion of the album. From 22 March to 25 March, the band performed four intimate album release shows in London, Paris, Tilburg and Berlin, to mark the release of Jomsviking. They also supported Megadeth, Suicidal Tendencies and Metal Church on the Dystopia tour in the United States in September and October 2016, and headlined a tour in the UK and Ireland with Testament as special guests. On 30 September 2016 Amon Amarth announced Jocke Wallgren is now the full-time drummer. 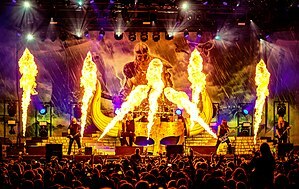 In an August 2017 interview at Bloodstock Open Air festival, guitarist Johan Sderberg stated that Amon Amarth plans to begin working on their eleventh studio album after the end of the Jomsviking tour. He is quoted as saying, "After this summer, we're done touring with this album. That's when we're gonna start to write stuff for the next one." Amon Amarth, under its former name Scum, originally played grindcore. However, it then changed its name to Amon Amarth and adopted a death metal style henceforth the band is now usually considered melodic death metal. 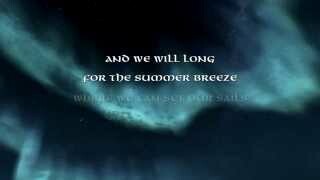 The band bases most of its song lyrics on Norse mythology, the Viking Age, and the pre-Christian world, themes which under-gird a heavy metal style known as Viking metal. Viking metal originally emerged in the late 1980s and early 1990s as an ideological offshoot of black metal, made popular by such bands as Bathory and Enslaved. Amon Amarth, though a death metal band, is often labeled as Viking metal due to its lyrical themes. Though most Viking metal bands have a black metal background, Viking metal is defined by topics rather than music. That is why death metal bands like Amon Amarth and Unleashed are often included in the league of Viking metal bands. We play death metal. We write about Vikings so, therefore, some refer us to Viking metal, but I have no idea what that is. I can't imagine the Vikings were into metal at all except on the swords and stuff. And musically, I guess they only played these strange lip instruments and some bongos or whatever. We don't really see ourselves as one of those bands doing pagan folklore music. The reason we took the Viking theme and mythology theme as a lyrical theme for the band was, perhaps, more accidental from the start. When we wrote the first song with Viking lyrics, we felt it was a topic that suited the music that we wanted to write really well...It was something different, as well, from a lot of other bands. In Sweden, I think only Bathory and Unleashed had done anything like it. For us, it was to do something different, to stand out a little bit, to use those lyrics. 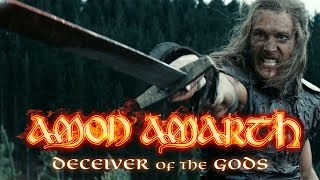 ^ a b c "Biography at amonamarth.com". Archived from the original on 2011-04-24. Retrieved . 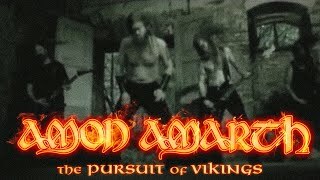 ^ "Amon Amarth | Biography, Albums, & Streaming Radio". AllMusic. Retrieved . ^ a b c d e f "Amon Amarth Biography". Archived from the original on 17 October 2007. Retrieved . ^ a b Jason Ankeny. "Once Sent from the Golden Hall". AllMusic. Archived from the original on 12 December 2010. Retrieved . 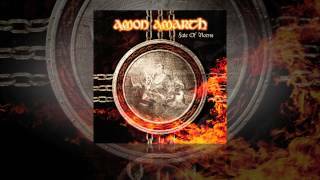 ^ a b "Amon Amarth Charts & Awards". www.allmusic.com. Archived from the original on 12 December 2010. Retrieved . ^ "With Oden on Our Side review". www.lordsofmetal.nl. Retrieved . ^ Metal Blade Records video. - Yohan Hegg speaking of the Surtur Rising concept. ^  Archived March 21, 2012, at the Wayback Machine. ^ Phil Freeman. "Surtur Rising album review". AllMusic. Retrieved . ^ "Amon Amarth - Tentative N. American Tour Routing - Metal Storm". Metalstorm.ee. Retrieved . ^  Archived November 16, 2009, at the Wayback Machine. ^ "Amon Amarth: Title, Release Date Of Forthcoming Album". Metal CallOut. Archived from the original on 27 December 2010. Retrieved . 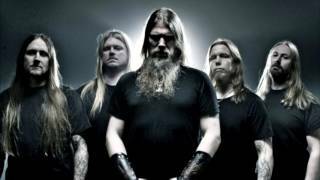 ^ "Amon Amarth Working On New Album - in Metal News". Metal Underground.com. Retrieved . ^  Archived December 5, 2011, at the Wayback Machine. ^ "Amon Amarth- 'Deceiver of the Gods' Album Cover". Reddit.com. April 12, 2013. Retrieved 2013. ^ "Amon Amarth parts ways with drummer Fredrik Andersson after 17 years". Metalrocknews.com. Retrieved . ^ "Megadeth Announces U.S. Tour With Amon Amarth, Suicidal Tendencies, Metal Church, Havok". Blabbermouth.net. July 18, 2016. Retrieved 2016. ^ "Dates with Amon Amarth in the U.K. and Ireland". testamentlegions.com. June 13, 2016. Retrieved 2016. ^ "AMON AMARTH To Begin Work On Follow-Up To 'Jomsviking'". Blabbermouth.net. August 21, 2017. Retrieved 2017. ^ "Amon Amarth release Self-Titled Mobile Video Game". ^ a b Patterson, Dayal (July 27, 2011). 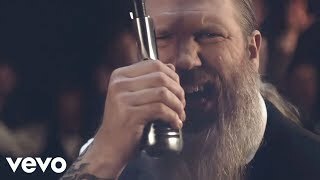 "That's Viking Talk: Amon Amarth Interviewed". The Quietus. John Doran. Retrieved 2014. ^ Ramanand, Liz (February 28, 2014). 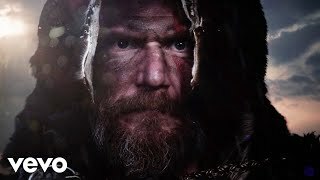 "Amon Amarth Drummer Fredrik Andersson Talks 'Deceiver of the Gods,' Longevity More Read More: Amon Amarth Drummer Talks 'Deceiver of the Gods' More". Loudwire. Townsquare Media. Retrieved 2014. ^ Laban, Linda (July 16, 2007). "Thrash-and-burn metal music feeds fans at Sounds of Underground". Boston.com. Boston Globe Electronic Publishing. ^ Kahn-Harris, Keith (2006). Extreme Metal: Music and Culture on the Edge. Oxford: Berg Publishers. pp. 106-107. ISBN 9780857852212. ^ Tison, Pugh; Angela Jane Wiesl (2012). Medievalisms: Making the Past in the Present. London: Routledge. pp. 108-109. ISBN 9781136265402. ^ von Helden, Imke (2010). Scott, Niall W. R., ed. "Barbarians and Literature: Viking Metal and its Links to Old Norse Mythology" (PDF). Inter-Disciplinary Press. Oxford: 258. Archived from the original (PDF) on October 28, 2014. Retrieved 2014. ^ von Helden, Imke (2010). Rosemary Hill; Karl Spracklen, eds. "Scandinavian Metal Attack: The Power of Northern Europe in Extreme Metal" (PDF). Inter-Disciplinary Press: 34. Archived from the original (PDF) on October 28, 2014. Retrieved 2014. 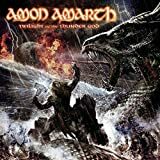 Amon Amarth "Twilight of the Thunder God"
Amon Amarth "The Pursuit of Vikings"